TM Choupette presented new fashion collections for the spring-summer 2019 season, as well as a school uniform collection, at 22nd CJF exhibition. 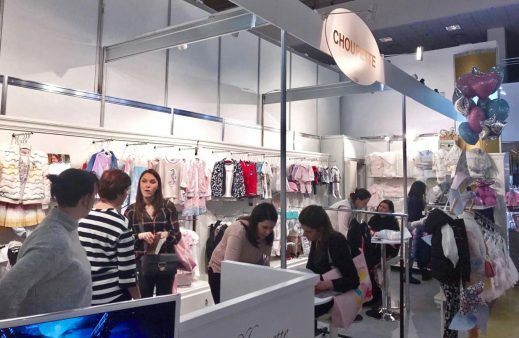 From February 25 to 28, Choupette traditionally took part in one of the largest events in children's retail sphere , the “CJF - Children's Fashion-2019. Spring" exhibition. Brand Choupette demonstrated its new collections of spring-summer 2019 season: "Marshmallow" and "Aquamarine" for girls, "Street" and "Odyssey" for boys, which are already available in all Russian cities, CIS, USA, Switzerland, the UAE, and Choupette online store. Choupette’s clothing, shoes and accessories have been in great demand for more than 10 years, both from customers and buyers around the world. 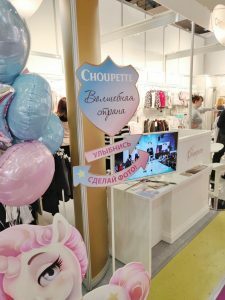 In January 2019, the Russian brand Choupette became the only brand that represented our country at the last Pitti Immagine Bimbo 2019 exhibition in Florence. “The brand is rapidly growing and continues to expand every year, we are pleased to be part of children's fashion world and once again take part in the CJF exhibition. We monitor what is happening in the fashion market and evaluate our competitors, this helps us understand our capabilities and continue developing in the right direction. This year we launched a capsule for Orthodox Muslim countries, at the exhibition we for the first time showed an underwear line , created in collaboration with TM “Russian Army”, which has already shown itself to be very successful in terms of sales. 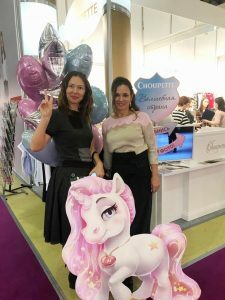 There is another one of our collaboration with the Brazilian brand in the spring-summer collection 2019 , it is a line of shoes and accessories for girls - Anastasia Vasilkova shared her impressions of the last exhibition, - At this exhibition we received over a hundred contacts of new partners, we are maintaining our standards at this kind of exhibition ”.